Róisín is a PhD candidate at the School of Law in Trinity College Dublin where her doctoral work is funded by the Irish Research Council and focuses on the impacts of digital technologies on fundamental rights and the Rule of Law in the European Union. Róisín holds an LLB with first class honours from Trinity and Masters degrees (with distinction) in International Affairs and Law from the Institut d’études politiques de Paris and Georgetown Law respectively. 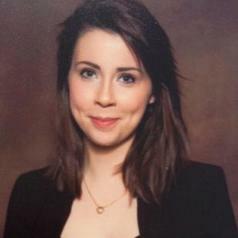 Róisín has worked as a trainee at the Council of Europe and was a Fellow of the Institute for International Economic Law at Georgetown, a research assistant at Georgetown's Centre for Privacy and Technology Law and a law clerk for the Electronic Privacy Information Centre in Washington D.C. during her LL.M. Before commencing her doctorate Róisín worked in London and Dublin in law and policy, most recently with the Institute for International and European Affairs where she remains a member of the Emerging Voices panel, contributing research to the 'Future of the EU 27' project which is supported by the Irish Department of Foreign Affairs. She has acted as a local expert for the World Bank’s 2017 Report on Women, Business and the Law and her writing has appeared in the European Human Rights Law Review, the Cambridge International Law Journal and The Irish Times.